For some time now, China has been an extremely mobile phone centric nation. This is not surprising when you consider the increasing popularity of Chinese brand phones, such as Huawei, and the advanced development of mobile gaming apps, social media apps and apps that are designed to take care of your everyday needs. In fact, it is fair to say that a large proportion of the Chinese don’t even own a desktop or a laptop anymore as they view a mobile device as being sufficient enough for their everyday online needs. To date, there are over 900 million active internet users across China. Wifi is available just about everywhere, and you can even still get a decent data connection on the metro in many cities including Shanghai and Beijing. Needless to say, it is very easy for the Chinese to stay on the grid at all times. The ease of being constantly connected puts no surprise to the fact that a large proportion of internet users in China are conducting all their web time via their mobiles phones. Due to the great firewall, consumer behaviour in China is very different to the behaviour of consumers in the Western world and it is important to have a thorough understanding of their shopping habbits when bringing a new business to the Chinese market. Currently, nearly half of all ecommerce sales conducted in China are made through a mobile phone. With Wechat pay and Alipay, plus Wechat mini stores and many other shopping apps, including Taobao and Tmall being optimized for mobile form, more and more companies are finding the bulk of their sales are made via mobile devices. In a country as busy and competitive as China, consumers want purchases to be straightforward, safe and quick. Mobile shopping certainly grants this. 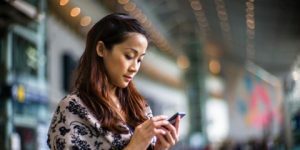 HOW CAN WECHAT INCREASE YOUR MOBILE SALES? With 860 million active monthly users, Wechat is without a doubt the most active social network in China. The ever increasing possibilities within apps such as Wechat mean that people are becoming even more reliant on their phones to carry out menial tasks and errands that many of us would never consider doing through a social media mobile app. Paying bills, booking flights, and shopping are all now considered just part of what you do on Chinas number one mobile app. By having an official Wechat account your target market can have a more direct line of interaction to your company and your products or services. The Chinese are constantly connected to their mobile phones and internet, and can therefore be constantly connected to you. By regularly sharing content to your moments (similar to Facebooks newsfeed) based around your products or services, or by releasing daily updates of any new products available, you essentially have a free way to advertise. Many serious companies and brands in China now have a Wechat store which is linked to their official account. A Wechat store is different to an online store in the sense that everything, from selecting your desired product or service, to arranging shipping and making payment is done directly through Wechat. 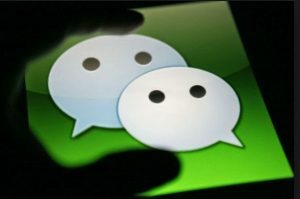 With so many counterfeits and fakes in China, the Chinese place a lot of trust in Wechatand many people would rather make purchases through Wechat than by visiting a companies own website. Coinciding with your Wechat store, customer service via Wechat is also becoming increasingly popular. Consumers like the direct and instant method of communication that Wechat offers as it means that they can contact you at anytime, any place. Many consumers will now look for this feature when purchasing from a Wechat store. Wechat was designed as a mobile app and a desktop version created later (unlike Facebook, Twitter, etc), so everything created on Wechat is already optimised for a mobile device. However, it is worth being aware that Wechat is a closed platform. This means that nobody can see your account unless they know exactly how to search for it (via QR code, your user ID, etc). Specialist knowledge of how to give your account, and therefore, your Wechat store, visibility is crucial. Creating and entering specialist Wechat groups based around your product or services and starting conversations around your brand and sharing specially created content is a great way of user to user communication which can help drive people towards your Wechat store. As briefly mentioned, Wechat pay is now huge in China and it’s difficult to get by without it. You can pay for just about anything in China these days with Wechat pay. From booking flights and paying bills to making an instore purchase or paying back a friend, more and more people are relying on payment apps or payment features with in apps over using cash or making card payments. It’s a super easy, quick and safe way for consumers to make purchases, and again, people place a lot of trust in it. Your Wechat store must be optimized for mobile payment in order for your customers to have a clear, straightforward way of purchasing your products or services with a simple tap of the screen. They have no need to input card details or other sensitive information and payment can come directly from their bank account (via Wechat) or, from their Wechat balance (money that is simply being stored on your Wechat pay). Transactions can be completed within seconds making Wechat pay an extremely beneficial feature to mcommerce. 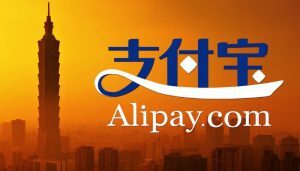 Ali pay is similar to Pay pal and works in much the same way as Wechat pay. Again, many Chinese consumers rely on it for both physical and mobile payments and you are unlikely to find any company in China, no matter how big or small, that doesn’t accept Ali pay or Wechat pay. 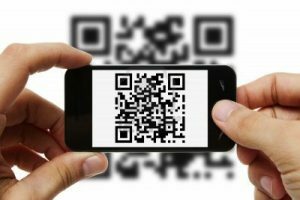 Whilst QR codes never took off so much in the West, China is hugely reliant upon them, and again, you will struggle to find a company or business in China that has not jumped on the QR bandwagon. They are a great way of driving offline traffic to online. By displaying QR codes on physical marketing materials and product packaging when sending orders to customers, your customers can then scan your QR code using their mobile device and then be taken directly to your website or Wechat store where they will hopefully then make an additional purchase or leave you a positive review. Not only does your website need to be optimized for Chinese characters, it also needs to transfer well to a mobile version. Remember, it is highly likely that the majority of your consumers will only ever view your website via a mobile device so the importance of this is crucial. Once you have a following, your consumers are likely to access your website via your Wechat or physical QR code, which will then take them directly to your website. Different formats and layouts will be required to make sure your website still reads well on a mobile device or potential consumers will not see you as a serious company. It is easy to understand why Mcommerce in China is becoming such a huge success. With the safety, easy, and convenience of purchasing through your mobile device thanks to apps such as Ali pay and Wechat, the Chinese are able to make quick, spontaneous purchases any time any place. This method of shopping will continue to grow and I am sure that the percentage of people shopping via mobile devices will continue to increase, year on year.